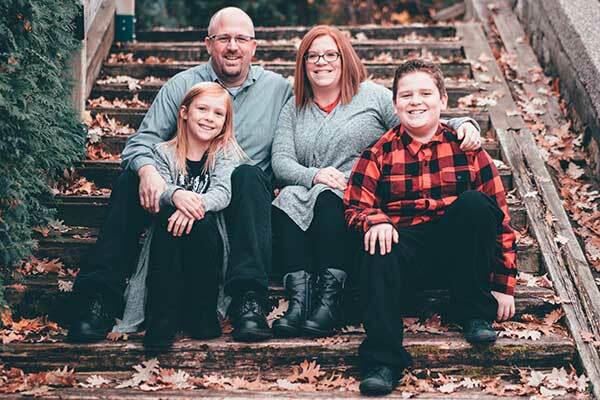 This is the third of a three-part series exploring how to connect with your family using digital technology. Read part one and part two. 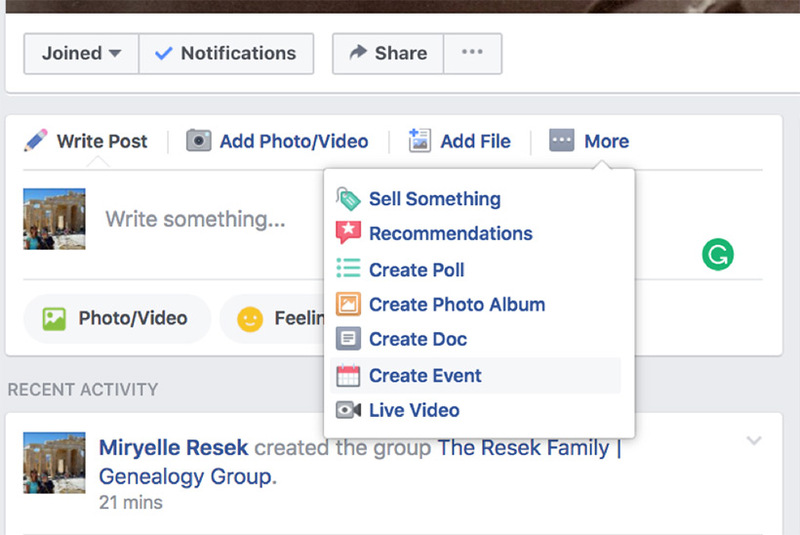 We’ve talked about how to create a Facebook group, now let’s discuss a few tips to help maintain it so that when you choose to use it as a way to host a virtual reunion, you’ll have all the necessary information you need. One of the things David Allen Lambert suggested in his 2017 RootsTech presentation is assigning administrators. These are people who can answer questions, start discussions, or are people that you trust in case something happens to you and you want the Facebook group to live on. In order to add other admins to your group go to the left side of your page, click on “Members,” find the member you want to turn into an Admin, and add them by using the wheel image on the right side of their photo. As you begin adding different people into your group, you’ll see several different options to connect with those in the group. Consider using this option when you want to write a post (or have someone in the group write a post) about a memory of a family member. It can be of a deceased ancestor, or a living relative which some in the group may have forgotten about. Maybe you’ve already written a story or memory about an ancestor. Clicking on Add File can pull it straight from your Word doc and upload it to Facebook. While not every option will apply to you, As you go through the “More” options, consider how you can use those ideas and apply them to your group. Creating a poll may be more fun than you think. Consider asking questions like “What was Grandma Jane’s secret ingredient in her strawberry pie?” And then include options and let the family members who guessed correctly know. Your family members have plenty of photos that have been scanned. Invite them to start photo albums of the photos of ancestors they have, but also of current family members so that those in the future can also enjoy them. But don’t limit yourself to photos, include recipes that have been scanned, as well as other fun things you can think of. Creating a Doc is slightly different from Add File. With Add File you can add documents that have already been written, however Create Doc lets you directly write the memories you have for those on the page to read and find later on. Create an event to let others know when you plan on doing special activities. You may want to unite online, or you may want to start a discussion on where some of you would like to meet in person to get to know each other’s story a little better. For those who can’t attend in person, using Live Video can help them be present as others gather around and share stories that family members may not have known about, or may have forgotten. 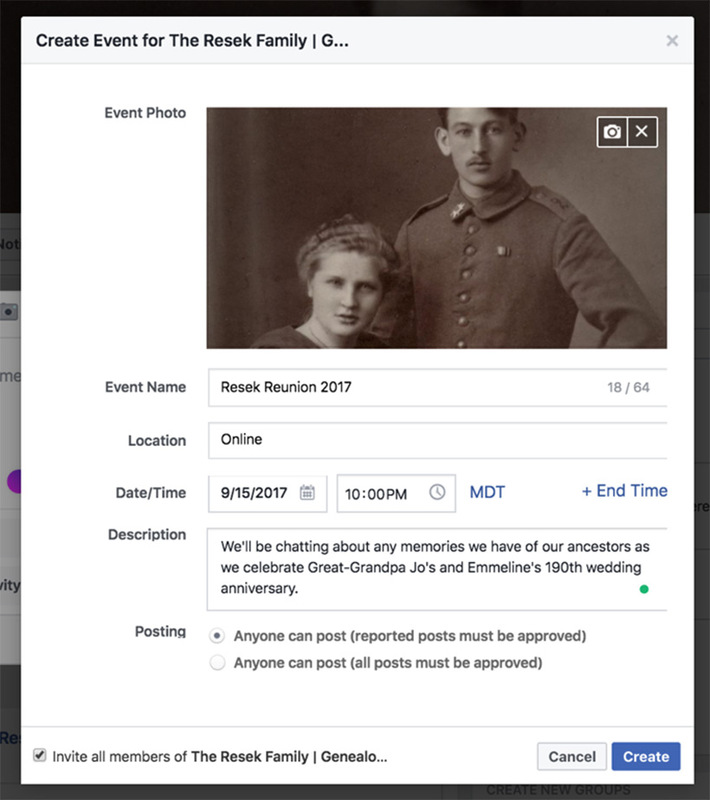 How could you use a genealogy group on Facebook? Tweet us @RootsTechConf with your ideas!